With LG G3’s launch closing in fast we figured it would be a good idea to prepare for a possible upgrade beforehand. LG’s current flagship was released seven months ago and is doing very well for the most part. However, given that competition is fierce on the smartphone market, the Korean company has planned an early May 28 release for its predecessor. Following their example we’re planning ahead as well, and considering we have enough information now, we can already tell if the LG G3 will be worth a purchase. A first thing to keep is mind is that many companies are releasing top of the line smartphones this year so a careful analysis is required. Some of the upcoming releases for 2014 include: Apple’s iPhone 6, Samsung Galaxy S5 Prime, HTC One M8 Prime, Google’s Nexus 6 and the Samsung Galaxy Note 4. So let’s take a look at the LG G3 and see if it has what it takes to compete with the other flagships, and if it brings enough to the table to justify upgrading from the LG G2. In order to do so, we will first list the specs for both devices and see how they compare. Remember that the G3 has not been released yet so these specs are not confirmed, but leaks coming from multiple sources claim this is more or less what we’re going to see once the handset is released. An important thing to note is that LG G3’s rumored specs still differ greatly in the processor and camera departments, but we tried to list only what seems the most believable. Even so, there is a clear difference in performance between the two and the display in particular is a major upgrade. 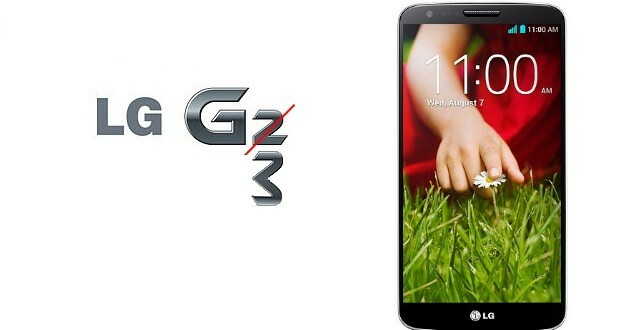 Design-wise, we can’t say anything for certain at this point although most leaked images show the LG G3 as being very similar to the G2, we shouldn’t expect any major changes there. The latest reports also indicate that the device might come equipped with a fingerprint scanner. This would be a wise choice given that the Samsung Galaxy S5 and the iPhone 5s already come with this feature. Overall, the LG G3 has plenty going for itself and it does justify and purchase, but when considering an upgrade the price point is also an important aspect. Most rumors suggest the device will cost $200 on contract and around $650 carrier free, this would make the G3 a bit less expensive than other upcoming smartphones in its class. By comparison, the LG G2 is currently available at carriers for $100 and around $400 without a contract.